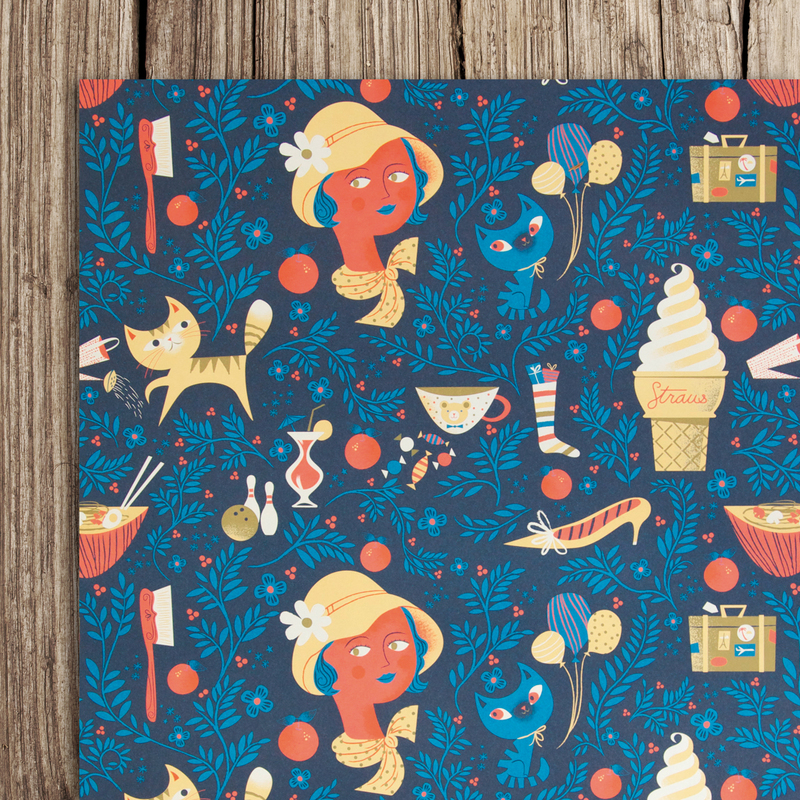 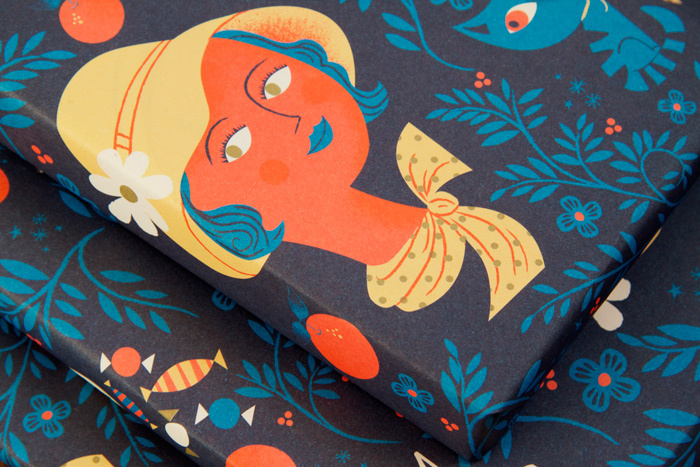 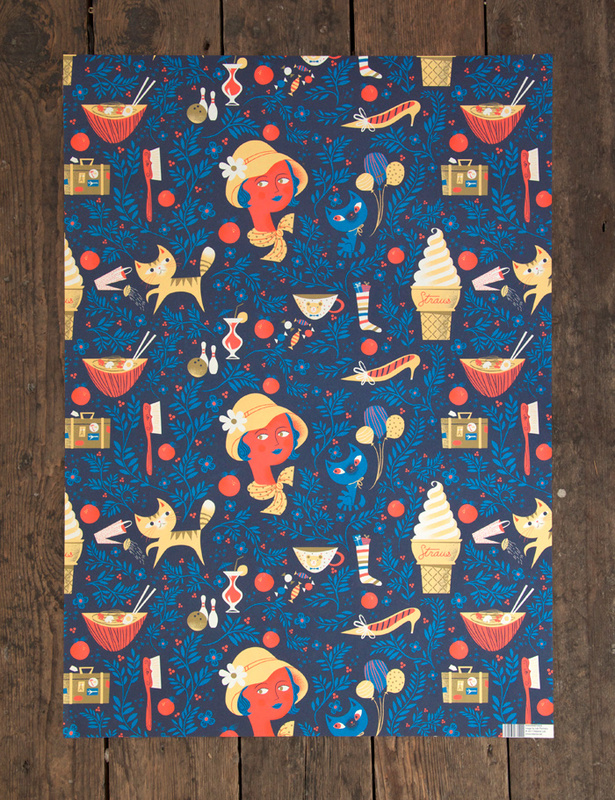 Seven of the Thirty stunning patterns in Nobrow 5: A Few of our Favourite Things have been selected to be transformed into wrapping paper and other gift products and this gorgeous design by Lab Partners of San Francisco is our very first. 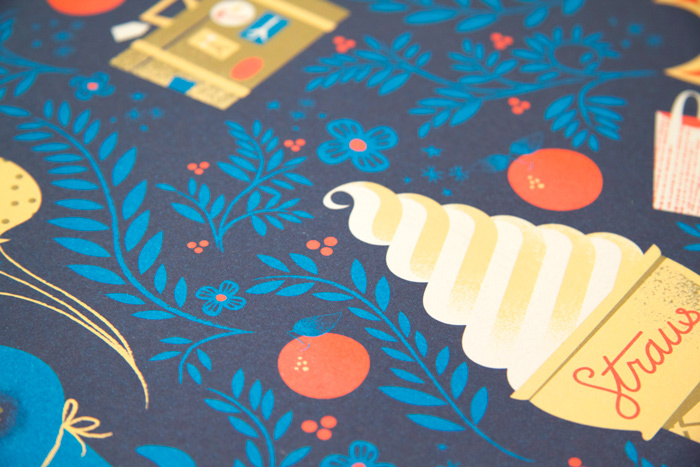 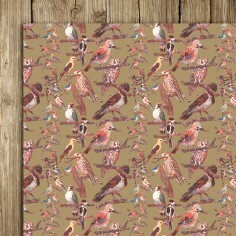 Each purchase comes with 5 sheets of high quality FSC assured 90 gsm uncoated wrapping paper printed in four unique spot colours (including gold). 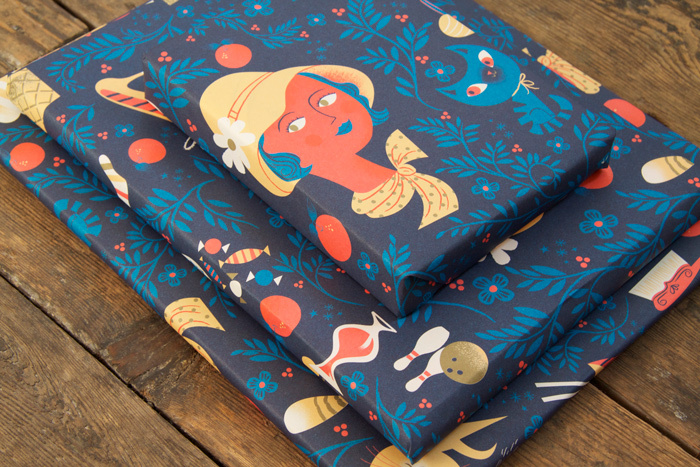 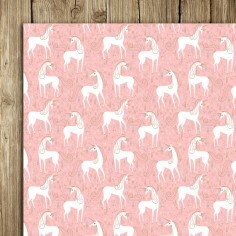 Don’t go for that drab, sorry excuse for wrapping paper you find everywhere in cheap card shops when you can impress friends, family or loved ones with this expertly designed, hip alternative! 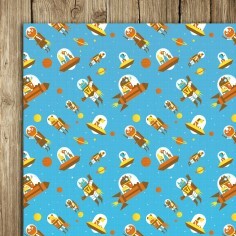 Flying Astro Cat Wrap ..